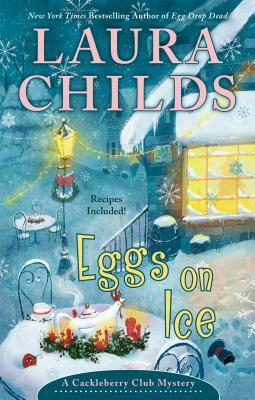 Eggs on Ice (A Cackleberry Club Mystery #8) (Hardcover) | novel. Laura Childs is the New York Times bestselling author of the Tea Shop Mysteries, Scrapbooking Mysteries, and Cackleberry Club Mysteries. In her previous life she was CEO of her own marketing firm, authored several screenplays, and produced a reality TV show. She is married to Dr. Bob, a professor of Chinese art history, enjoys travel, and has two Shar-Peis.